As the sun was setting on a beautiful Thai beach, Andrew Wright got down on one knee and asked Jessica Aiken for her hand in marriage – and now the pair are looking forward to spending the rest of their lives together as husband and wife. The couple, both from Omagh, were wed by Pastor George Morrow at Omagh Baptist Church on July 16, 2016. Jessica explained that while she had known Andrew her entire life as they had grown up in the church together, it was in October 2010 that they began dating. It was on May 11, 2014, during a holiday to Thailand, that Andrew surprised Jessica with a magical proposal as the sun began to set over the horizon. Walking over to the rocks of Surin beach, Andrew presented his love with a platinum diamond cluster engagement ring, featuring a brilliant cut centre and asked her to be Mrs Jessica Wright. 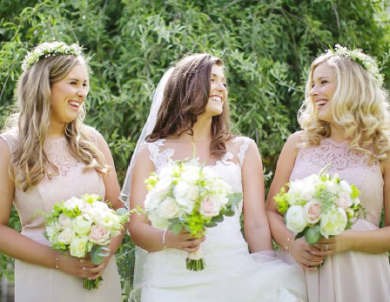 Always dreaming of a pastel coloured wedding, featuring simple blush pinks and ivory colours, Jessica also wanted to capture the elegance and love of a traditional wedding – with little moments of modern interlaced. With her heart set on finding a wedding dress that was simply perfect for her, Jessica said that she tried on over 100 dresses before she found ‘the one’ in La Boda Bridal. 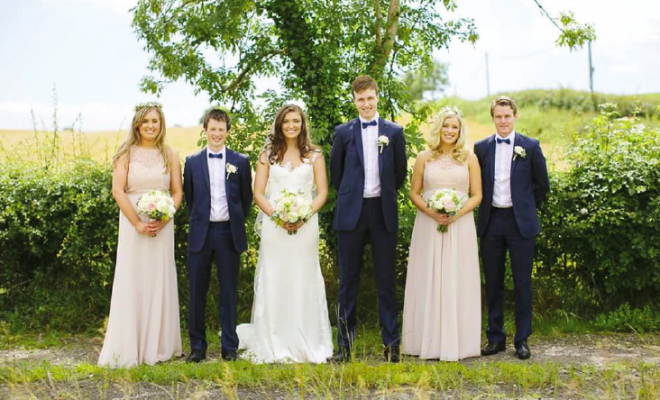 When Jessica’s wedding day arrived, she described feeling ‘surprisingly calm’ – but also very excited for the big day ahead. “Even when I put on the dress and was handed the flowers I was just so excited to get to the church,” she reflected. Arriving to the church with her father, Reggie standing by her side in the hot summer sunshine, she took a moment to listen to the pipers before walking down the aisle. “The pipers really reminded me of Edinburgh where I had lived for four years and suddenly I realised that I was finally coming home to marry Andrew,” she smiled. 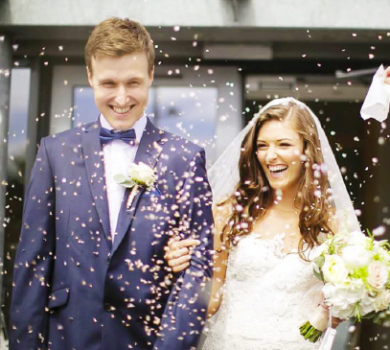 Then the delighted newlyweds travelled to the beautiful Lough Erne Golf Resort and Spa together, singing to the special CD they’d created before the wedding and talking as ‘just them’ – something which Jessica said was one of her favourite wedding day memories. “My day can only be described as the best day ever,” the 22-year-old concluded. “Looking out at the church and seeing every friend and family member that you love and adore is amazing.